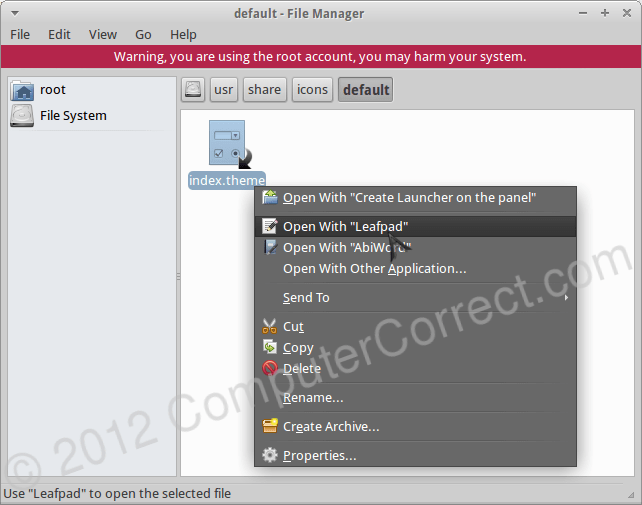 Installing and/or changing mouse pointer themes in Xubuntu 12.04 isn’t difficult. What is woeful is when you realize that the cursor theme you set is not always used. It only gets applied partially – so that your pointer will sometimes look as you set it, and other times you’ll see the default pointer. This issue apparently plagues any distro running xfce… and has now for quite some time. The very fact that you must use a “fix” to make your chosen pointer persist is much more painful than the fix itself. I’ll outline the whole process of installing a mouse cursor theme and then making it the persistent default below. First, you’ll need to have a mouse pointer theme. 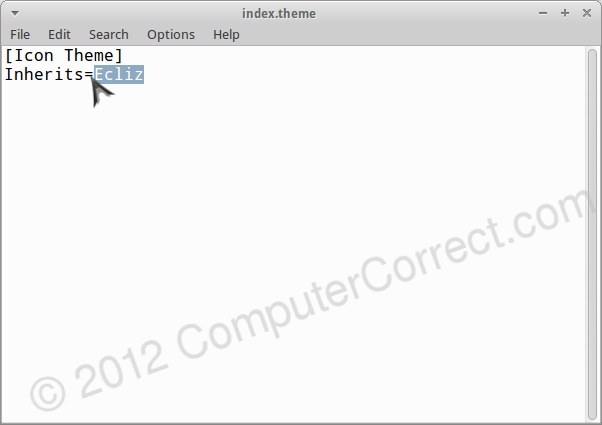 You can simply use one of the pre-installed themes, or you can wander on over to a place like gnome-look.org and navigate to the “X11 Mouse Themes” section to download a fresh one. (Or simply click here.) If downloading a new theme, just make a mental note of where you save it. Now, enter your password, and then navigate to wherever you saved your theme. Double clicking the theme should open the archive. Ignore the archive window for a moment and navigate to /usr/share/icons/ in your file manager. You should have two windows on your screen now, looking something like mine below. Now, drag your theme folder into your file manager (being careful not to drag it onto an existing folder). The folder will then appear in your file manager exactly where we need it to be. Now right click it and click Properties. 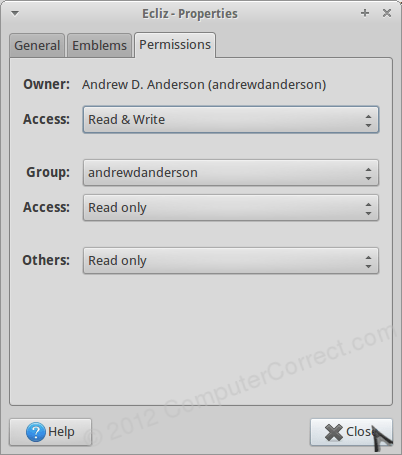 Then select the Permissions tab and make sure that “Group” and “Others” have read only access. *** Now that your pointer is installed where it needs to be, you can make it the default. Just go into the “default” folder in the current directory (/usr/share/icons/default/) and then right-click the “index.theme” link. Open it with Leafpad, or whatever simply text-editor you prefer. Now simply change the line that begins “Inherits=” so that whatever comes after the “=” is the name of your cursor theme (often the folder name). Finally, reboot and enjoy your persistent cursor theme. I’m only sorry that I had to write about this in the fist place, hopefully xfce fixes this oversight soon. It works! Now finally I have my left cursor by default. I am having almost the same problem. After instaling gksu package, it has gone!